Linda Maria Ronstadt (born July 15, 1946 in Tucson, Arizona) is an American popular music singer. She has earned 11 Grammy Awards, three American Music Awards, two Academy of Country Music awards, an Emmy Award, an ALMA Award, and numerous United States and internationally certified gold, platinum and multiplatinum albums. She has also earned nominations for a Tony Award and a Golden Globe award. Ronstadt has collaborated with artists from a diverse spectrum of genres including Bette Midler, Billy Eckstine, Frank Zappa, Rosemary Clooney, Flaco Jim�nez, Philip Glass, Warren Zevon, Emmylou Harris, Gram Parsons, Dolly Parton, Neil Young, Johnny Cash, and Nelson Riddle. She has lent her voice to over 120 albums and has sold more than 100 million records, making her one of the world's best-selling artists of all time.Christopher Loudon of Jazz Times noted in 2004, Ronstadt is "Blessed with arguably the most sterling set of pipes of her generation ... rarest of rarities � a chameleon who can blend into any background yet remain boldly distinctive ... It's an exceptional gift; one shared by few others." In total, she has released over 30 studio albums and 15 compilation or greatest hits albums. Ronstadt charted 38 Billboard Hot 100 singles, with 21 reaching the top 40, 10 in the top 10, three at #2, and "You're No Good" at #1. This success did not translate to the UK, with only her single "Blue Bayou" reaching the UK Top 40. Her duet with Aaron Neville, "Don't Know Much", peaked at #2 in December 1989. In addition, she has charted 36 albums, 10 top-10 albums and three #1 albums on the Billboard Pop Album Chart. In a 2011 interview with the Arizona Daily Star she said, "I am 100 percent retired and I'm not doing anything any more". It was announced publicly in August 2013 that Ronstadt had been diagnosed with Parkinson's disease in December 2012, which left her unable to sing. Her autobiography, Simple Dreams: A Musical Memoir, was released in September 2013. It debuted in the Top 10 on The New York Times Best Sellers List. 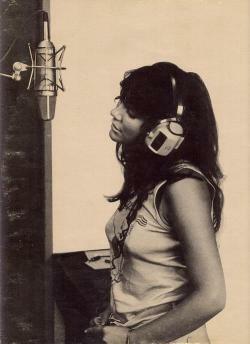 Linda Ronstadt was inducted into the Rock and Roll Hall of Fame in April 2014. On July 28, 2014, she was awarded one of the twelve 2013 National Medals of Arts and Humanities.